Movies! 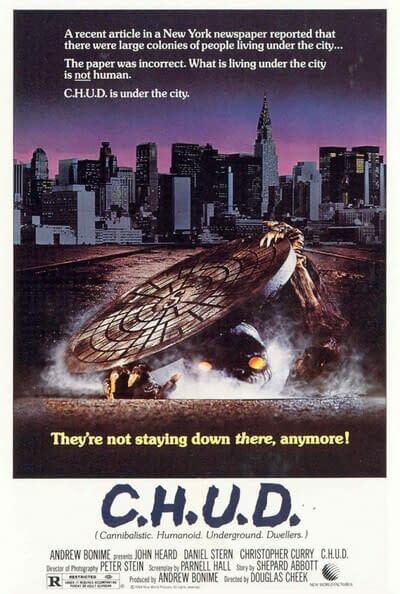 TV Network | C.H.U.D. A rag-tag team assembles to stop a mysterious evil living in the sewers that is behind a string of murders in New York City.